TD and I really have had the best summer. You know, I wish it was summer all year 'round. Recently we spent a week on Fire Island as the guests of our friend Philip and it was heavenly to be at the beach. Previous to that, we had a fun trip to upstate New York. 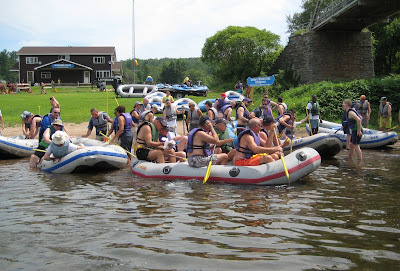 The first stop was Callicoon, a town in the Catskills, where we and friend Bill were guests of friends Karl and Robert for an adventurous river rafting ride called Divas on the Delaware. The second stop was in picturesque Cooperstown, and I wrote about that for New York Social Diary.com; I'll be posting that part next. Divas on the Delaware is a festive annual event where about one hundred gay men and a handful of women raft down the Delaware River. How could that not be fun? Plus it was that weekend where it was approximately 104 degrees out, so it was a relief to be on the wide, cool Delaware River. We drove to Narrowsburg to a camp ground where the group assembled and then got on a rickety school bus to be transferred to Skinner's Falls. There, we all grabbed a life preserver and an oar, and jumped into a raft. Everybody made it into a raft and headed down the river. but still it was exciting because you did get tossed around a little and had to work to navigate the raft to safety. In the wide expanse of the river we got separated from the other divas. It became very quiet and calm. I dunked into the river four times to cool off. I had thought it would be a noisy, raucous affair but it turned out to be quite peaceful. The scenery was beautiful and the nature was unspoiled. At this bend ahead the river turned right. A river was lined with pretty houses. This woman sat in the shallow river to escape the summer heat. There were other rafters on the river too. This blonde girl in front of us had on a Daniel Boone raccoon cap which I thought was appropriate, and chic. We were on the river for a few hours and eventually arrived at the end, at the place to land, seen here on the left. I took one more dunk into the river to cool off. After we landed, there was a big barbecue lunch at the camp grounds. By the end of the raft trip I was completely relaxed. The meditative serenity of the river had worked its magic. I can see why river rafting is popular. You do surrender yourself to the beauty of nature. 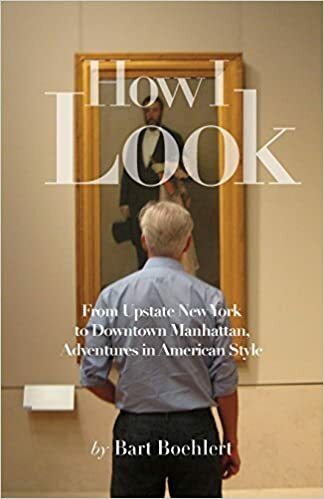 Up next: the art and culture of Cooperstown. What a lovely way to spend the summer, making the most of each day. From gathering gladiolas to rafting, memories all. Glad to hear everyone is o.k. Any idea when your parents' power will be restored? We have friends who were headed for Nova Scotia last Friday. I'll be very relieved when they're back home. The Paddling divas photo is hilarious! Anyway did you brought all that stuff or paid a rent for the raft? Rafting is a cool sport that I needed to try out sometime. Is there any used boats for sale perth that I can buy to start practicing on how to raft properly? Nice place you got there and looks like a swift river. People should wear life vests though. Some of the divas aren't wearing one.